Among the treasured aspects of UC Santa Cruz are the cross-disciplinary courses offered by the 10 colleges. Judy Scarborough, the academic personnel manager for the Division of Undergraduate Education, has worked behind the scenes in a role critical to the courses’ success: making sure instructors’ hiring and payroll goes smoothly. Known for generosity with her knowledge and an eye for the details that ensure instructors get paid the right amount and on time, Scarborough is the 2018 Outstanding Staff Award recipient. Human Resources Specialist Lisa Pauken, a colleague, says Scarborough’s passion for her work is inspiring. “Everybody gets the top level of service. It doesn’t matter if you’re a professor or a newly hired assistant,” Pauken says, adding that Scarborough wants to help make a process better, help solve a problem, and help somebody learn. Scarborough’s fellow staff wish it were possible to mind-meld with her before she retires next month. She carries a deep well of knowledge from over two decades working at UC Santa Cruz and regularly dips into that well to solve puzzles. In her previous role in the Humanities Division, Scarborough saw a need to assist the relatively small staffs in the colleges. Over several years, she organized trainings and proposed an office focused on providing ongoing support. The office was established two years ago, with Scarborough overseeing Pauken and another specialist. 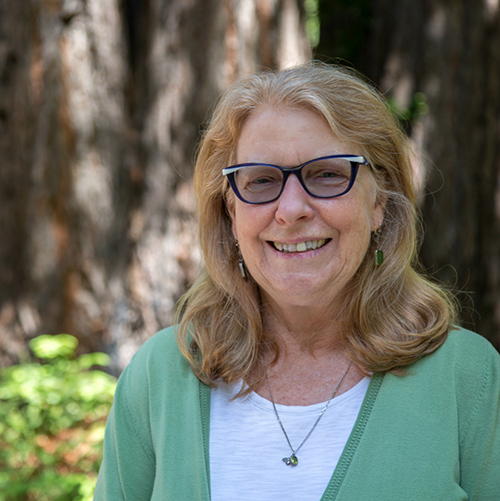 Scarborough describes her current role as the “capstone” of a UC Santa Cruz career that began with a half-time payroll job. In addition to assisting the colleges, she enhances the quality of the teaching by helping Vice Provost of the Division of Undergraduate Education Richard Hughey approve the best instructor candidates. She notes that her job gives her opportunities to solve problems and ensure good ideas happen. The cafe and bar are still operating today. Scarborough thinks it's the breakfast service that has kept the shop in business. "Everybody eats breakfast, even if it's at noon," she says. On weekends, Scarborough tends a garden that gives her ready access to beet greens and rhubarb. She traces gardening to her time in Minneapolis. For her retirement, Scarborough is looking forward to doing “anything I want, whenever I want.” She noted this will include an upcoming sleepover at the Monterey Bay aquarium with her 9-year-old grandson. She also plans a trip to Machu Picchu and the Galapagos and a bike tour on the Great River Road following the Mississippi River from Minneapolis to New Orleans.